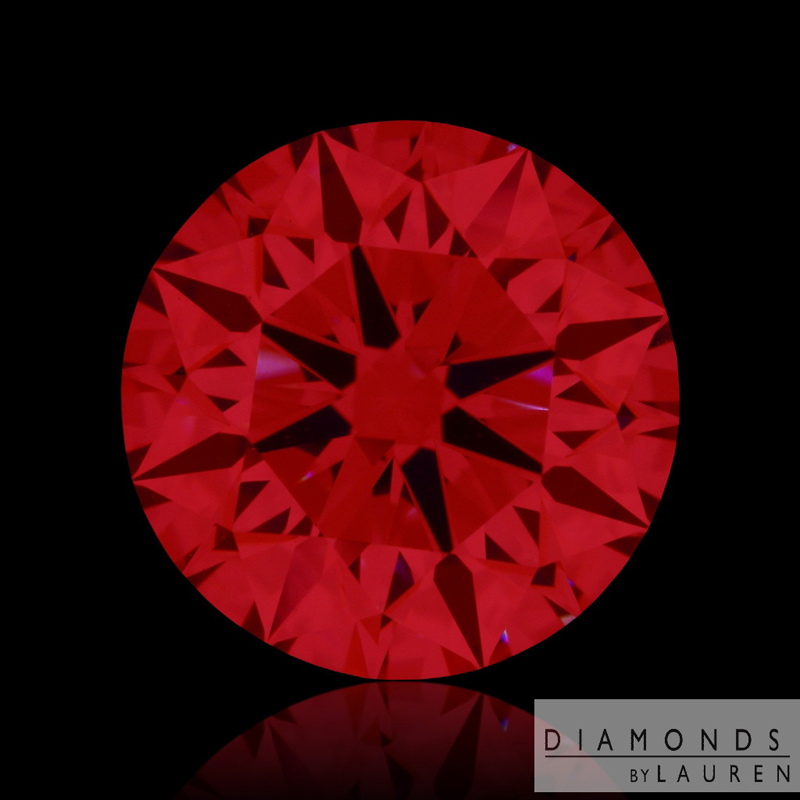 This large 3.34ct round brilliant diamond has been graded by GIA with the highest grades possible for color and clarity. Yep it is D in Color, Flawless in clarity, and it is 9.55mmx9.60mm. 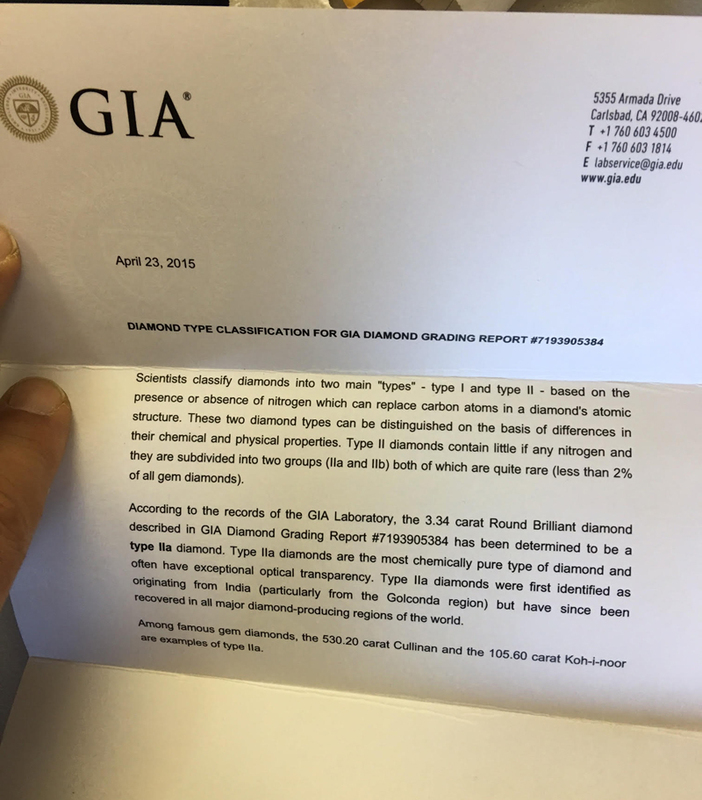 In addition, this diamond has a letter from GIA stating it is a type IIa diamond. 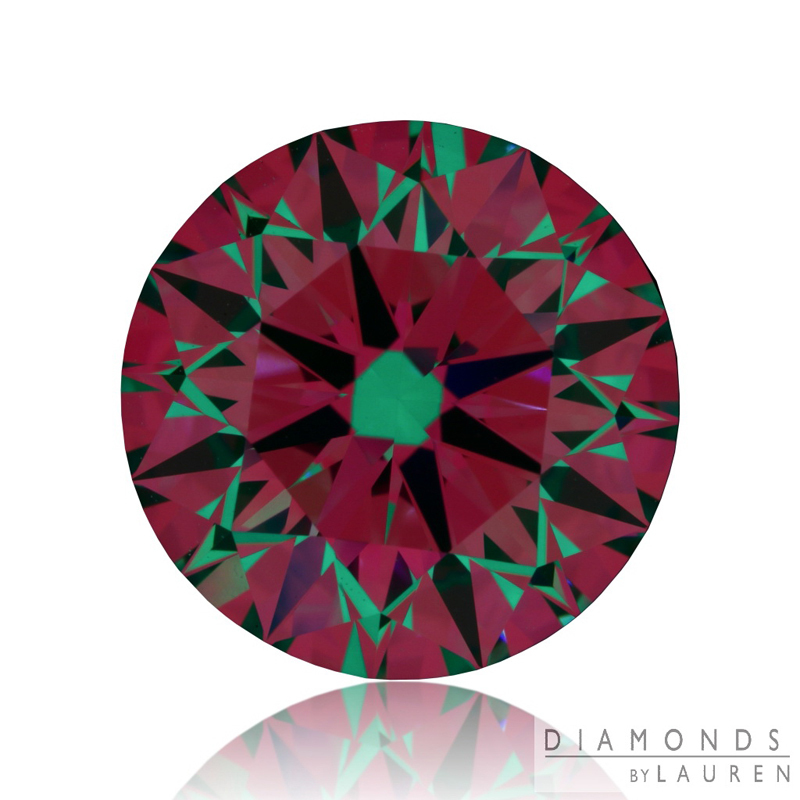 Natural type IIa diamonds are rare - less than 2% of all gem grade diamonds are of this type. They do not have nitrogen in them which causes the yellow color in many diamonds. 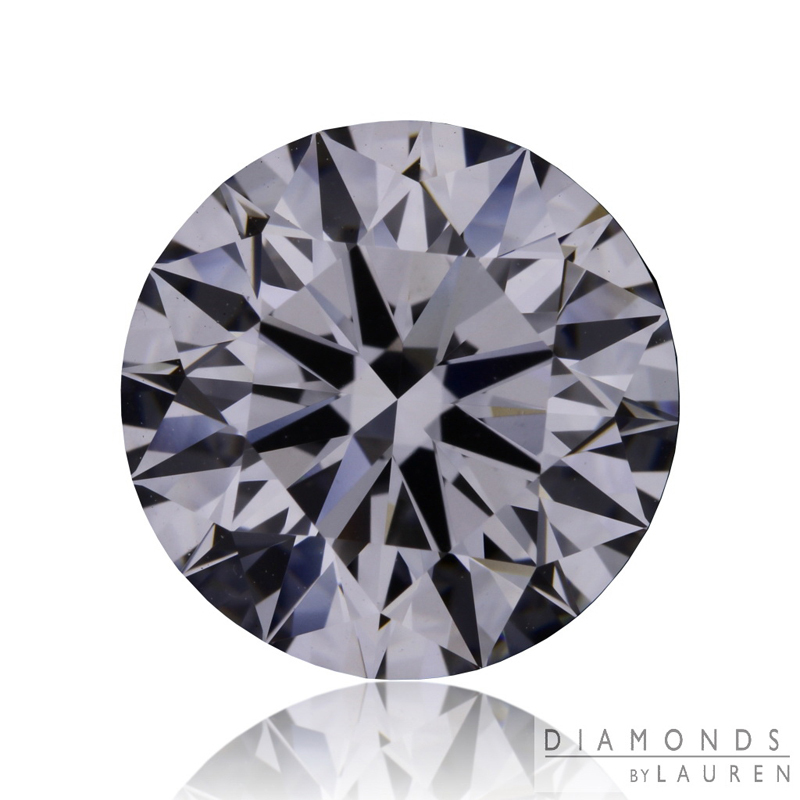 Type IIa diamonds can be different colors due to changes in the diamond crystal but this one is a colorless D as graded by GIA. 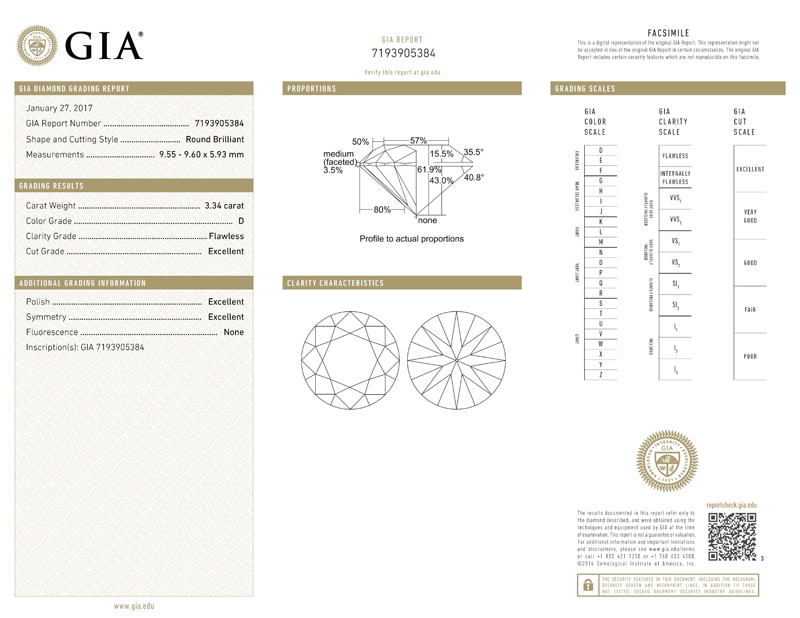 Flawless is the highest clarity grade that GIA assigns and this diamond achieved it! That means this diamond is as clean outside as it is inside. Diamonds of this clarity are very rare. GIA rates the cut of the diamond as excellent. 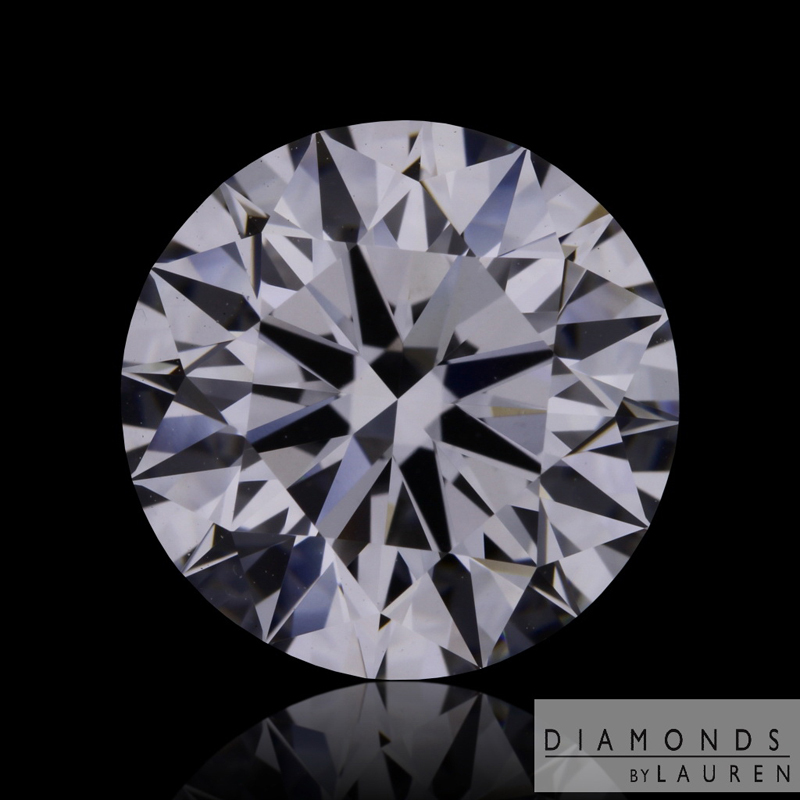 We took these ASET and Ideal-scope images to demonstrate just how well cut this diamond is. This is a beautiful diamond that would look awesome on you or a loved one!!! 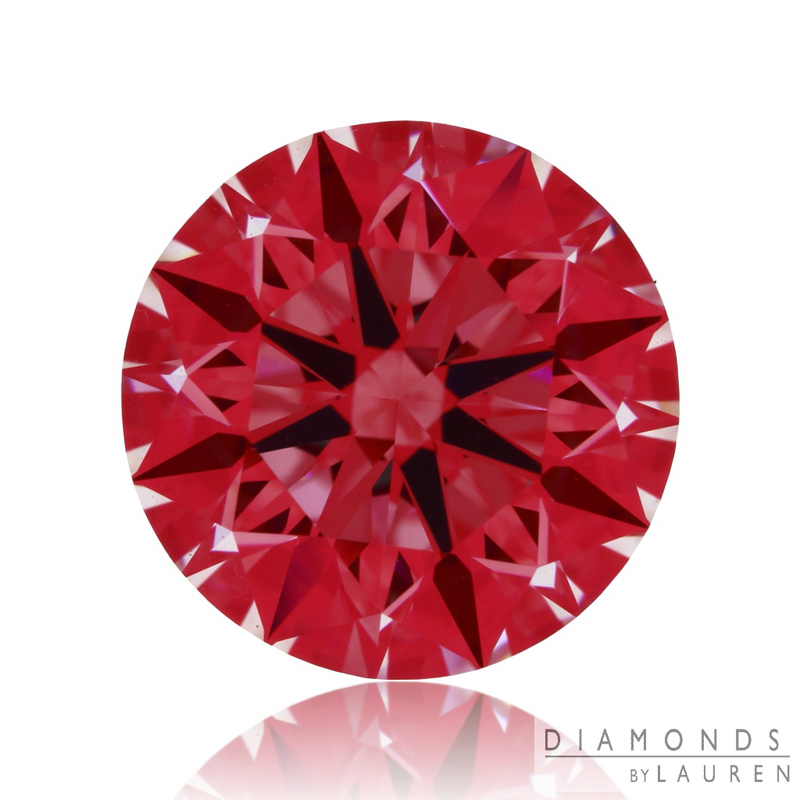 Did I mention that it’s 3.34ct and D/FL and type IIa to boot!.